"The response to my fingers, the feelings from the sound, everything was a different experience." 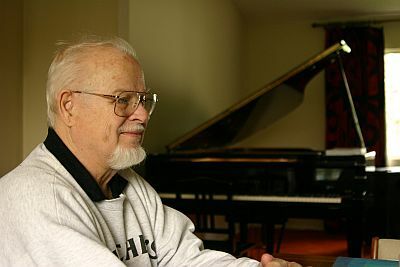 Clare Fischer, the incredibly talented keyboardist, composer and arranger who gave us the dynamic, "Descarga- Yema Ya", talks to Seymour Nurse about Antonio Carlos Jobim, Cal Tjader, and his phenomenal career. Seymour Nurse: You studied many instruments as a child that included the tuba, violin, saxophone, clarinet, and cello. What inspired you to adopt the piano as your main instrument? 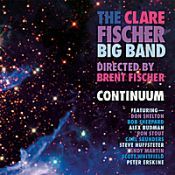 Clare Fisher: I started on the piano and the other ones were orchestral additions as I studied writing. S.N: Who were the musicians that you were first listening to, and how did they inspire you? C.F: There were two worlds - the Jazz world and the concert world. I played cello for 12 years in orchestras and played in jazz bands. The most inspiring was the alto saxophonist, who was Lee Konitz, who I admired immensely. S.N: You made the albums, "Jazz", "First Time Out", "Surging Ahead", "So Danco Samba", "Manteca", and "Extension" early on in your career. Your music reflected Afro-Cuban/Brazilian music in a very special way. How were you influenced by these sounds? C.F: By working with groups from these different areas. I especially enjoyed Brazilian music. S.N: You recorded with Bud Shank, Joao Gilberto, and Sergio Mendes (on the album, "The Great Arrival" in 1967) who were all very active in the early stages of 'Bossa Nova'. The 50s and 60s must have been a very exciting time period for Brazilian music. C.F: I've always loved Brazilian music - it doesn't matter the period. I've always enjoyed Portuguese, which I speak a little of. S.N: Your album, "So Danco Samba" from 1965, featured the compositions of the great Antonio Carlos Jobim. 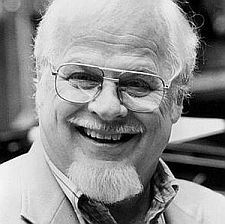 You recently recorded a very special version of Jobim's classic, "Corcovado Funebre" with your Big Band on the album, "Clare Fischer's Jazz Corps." There is a very moving story behind your rendition of this beautiful song. C.F: When Jobim died, I was very moved and saddened. I had known him personally and enjoyed his friendship. One night, sleeping and dreaming, I was playing Jobim's "Corcovado" in remembrance, and in the morning after awakening, I went to the piano and played it as I remembered dreaming it. "Corcovado Funebre" resulted. S.N: You continued your Brazilian journey over the years and produced a beautiful album called "Lembrancas." You later recorded "Symbiosis" with the legendary Brazilian guitarist, Helio Delmiro. This was a very interesting collaboration. C.F: I completely agree. He was a delight. We met when Helio invited me to come to Sao Paulo to perform with him at a choro festival. We enjoyed it so much that I invited him to L.A. to perform and record with me. Both he and his wife, Melina, came to our home and stayed here with us while we recorded "Symbiosis" in our living room. Helio on unamplified Brazilian guitar with me at the Roland 1000 digital piano. S.N: Your use of the electric keyboard has given you a very distinctive sound, and you were one of the main pioneers in this field. What did you find so appealing about this instrument? C.F: It appealed to me instrumentally in a completely different way than playing the piano did. The response to my fingers, the feelings from the sound, everything was a different experience. The tones played on an electric piano hold without fading, whereas the notes played on an acoustic piano fade quickly and are lost. S.N: You gave us the legendary, "Salsa Picante" album, featuring the talents of Poncho Sanchez, Alex Acuna, David Troncoso, Rick Zunigar, and Pete Riso. How did the idea for this group and album come about? C.F: We were all performing together in different groups, and the friendship that resulted brought us together. S.N: The "Descarga-Yema Ya" was a huge track within the UK Jazz-Fusion Dance Movement, at "The Horseshoe" and "Electric Ballroom." This tune produced such a great solo from yourself, as well as some dynamic percussion work from Poncho Sanchez on congas and Alex Acuna on timbales. What was the inspiration behind this track, you must have had a ball playing this? C.F: That's definitely true. When you work with a great bunch of musicians, and you get the chance to jam frequently, these kind of ideas are the result of that process. We have had many fine exploratory sessions like this through the years. S.N: "Cositas" featuring the dynamic bass playing of David Troncoso was also a very exciting track that was played in these Jazz rooms, as well as the "Cosmic Flight", and outro on "Canto Africano". The "African Flutes" and "Machaca", are two other great club tracks with fantastic arrangements. You were arranging music for dance bands from a young age, that shows you always had a connection with what dancers required. C.F: Let's put it this way: I enjoyed dancers. C.F: It was beautiful. 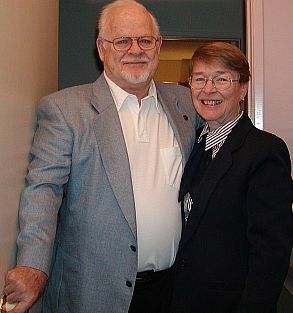 Cal was so musical and as a vibist he shared similar harmonic interests to mine, so we always enjoyed playing together. I remember once while playing with him that I got into some very expressive harmonic usage, and while he was playing his solo, he turned to me and said, "Oh yes!" Your work as a pianist/arranger with the a cappella group the "Hi-Lo's" was legendary. Herbie Hancock's, "Speak Like A Child" is one of my favourite compositions, and he once said that the harmonies on this song were inspired by your arrangements with the "Hi-Lo's", stating that ,you were "a major influence" on the development of his "harmonic concept." C.F: I was very pleased by his comment. My own influence comes not only from jazz greats, such as Jobim, Ellington and Strayhorn, but equally from my exposure to the likes of Shostakovich, Stravinsky and Bartok. S.N: For me, what makes you so special in this department is that you have the gift of producing classical strings in your arrangements, and applying them to any musical genre in such a successful way, for you have never been restricted to just one particular style of music. You produced your first classical CD, "After The Rain" in 2001, which is a stunning piece of work. What inspired you to finally record a classical album after all these years, when the music itself has influenced so much of your career? C.F: I have been composing since I was 11 and I haven't just existed in the jazz world, but the entire music scene. After writing classical music all my life, I finally decided that if I were to ever get it recorded, I would have to record it myself. It cost me a fortune, but as I have said before, "I may die a poor man, but I'll have a smile on my face!" S.N: You did some amazing string and horn arrangements on the early Rufus and Chaka Khan albums, and you continue to work with Chaka. How was (is) it working with such an amazing vocal talent? S.N: I once heard an interesting story about how you used to go to recording sessions and were asked to play like Joe Sample, but later found out that he experienced the same thing, except he was asked to play like you. C.F: That's true. That's a common practice in that people, in order to express what they feel, make a comparison to others. S.N: You have always kept it in the family, working with your son and other family members over the years. 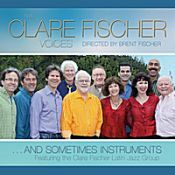 You recently released the latest recording of "The Clare Fischer Clarinet Choir" entitled, "A Family Affair". This is an exquisite album featuring your son Brent, as well as your brother Dirk, Don Shelton, Gary Foster, and others. How has it been experiencing your son growing into such a fine musician? C.F: It's been a joy! I never taught him, but he observed so much through the years. I took him to recording sessions with me, he experienced string sessions, jazz bands, and the whole gamut. He just soaked it all up by himself. He majored in percussion in college, but taught himself to play electric bass by transcribing Jeff Berlin's recorded bass solos. S.N: Your career has been outstanding. You have produced 50 or so recordings under you own name, earning you two grammys for the albums, "Free Fall" and "Clare Fischer And Salsa Picante Present 2+2 - Latin Jazz And Voices" (and deservedly so). You have written, arranged, and performed on several other recordings, but what is so exceptional is your success in the pop world. You have worked with Paul McCartney, Michael Jackson, Robert Palmer, Spike Lee, The Jacksons, Tony Toni Tone, Vanessa Williams, Paula Abdul, The Family (producing some great string arrangements on their album) and contributed on over 100 albums. For me, it has been your work with Prince that is the highlight of your pop collaborations. How did you first get connected with Prince? C.F: Someone who is a jazz fan and working with Prince at the time, suggested my name to him when he was looking for a string arranger. S.N: Your first film credit was for the Prince movie, "Under The Cherry Moon", and an interpretaion of one of your arrangements was used in the first "Batman" movie, where Prince did the Soundtrack. You have also worked with him on the albums, "Parade", "Graffiti Bridge", O (+>, "Crystal Ball", and several singles ("Goodbye", "The One", "Te Amo Corazon" etc...) How was your experience working with such a genius? C.F: Prince is indeed a smart man. He sends me what he has recorded, and I add on my orchestra. He may occasionally give me a suggestion of some kind at the beginning of a project, but mostly leaves it up to me. S.N: On a more romantic 'note', you are a happily married man to your wife Donna, who was your childhood sweetheart. There is a beautiful story behind your reunion after many years of being apart. C.F: As a young man, most mothers rejected me as a potential husband for their daughter, purely because of misconceptions about me. They thought of me only as a jazz musician, not as an educated composer. Which always put me in a bind, because their image was limited. We parted at the end of high school and didn't see one another again for 43 years. At a high school reunion we met once more and have been together ever since. Mother was wrong! S.N: That is such a beautiful story, which just goes to show that the spirit of romance is still very much alive. Clare, thank you so much. You have inspired us dancers with your music, and enabled so many artists to shine. This has been a real pleasure. C.F: You are very welcome. Much appreciation to Donna Fischer for her help, and transcription of the interview.